Cinderella's Bedroom, Princess Decor ideas inspiration! A magical storybook theme for baby girl nursery room in pastel colors, it will decorate your baby nursery and make it more beautiful ! 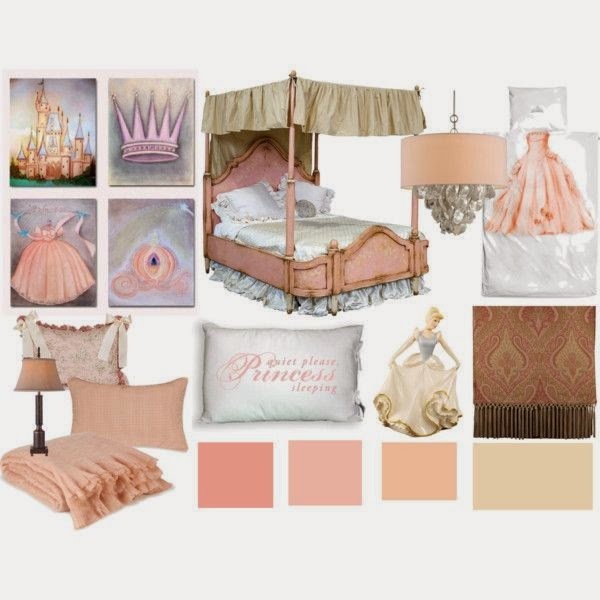 For a Princess Cinderella's Decor on beautiful peach colors, this is my inspiration board on Polyvore.